They were new in business. They wanted to build something amazing for this company because the company had potential influence for referrals. So they took the job. And it lost money, time, and energy. Dan and I talk about this struggle and how a company should approach branding, among other things. Why Dan now prefers working with tangible product producers. How they bootstrapped their business and built on their successes. How being a “generalist” kept him from progressing in ways he wanted. How he made his mistakes with the country club and worked to impress their board of directors. How he recovered from this setback. Why he said he should’ve declined the project when he first met with the client. How to do your homework before taking on a project. 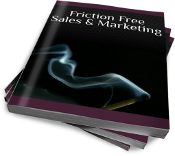 How he was able to still get referral business despite the crash and burn. 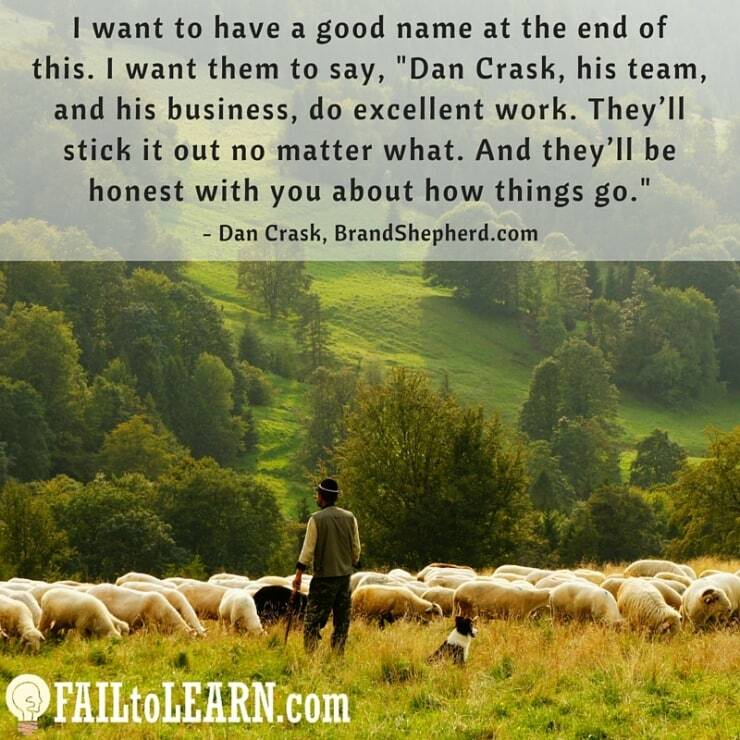 How Dan pivoted Brand Shepherd from this experience, and why that’s important to you and your business. Why Dan believes his reputation is critical. Why you want to have physical objects to leave with clients to remain top-of-mind. How presidential election years have effected their business. How they found the sweet spot in their market, and how you can do the same. How major brands are always making small changes to keep their products fresh, and new looking, to the market. 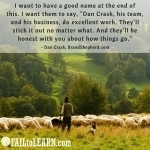 What branding means to Dan (hint, it’s not just your logo and it involves making sales). Why your story is crucial. How to structure your story to appeal to your ideal clients. Why he said James Hatfield, from Metallica, is a legend of our time. Click here to download the 1-Page Quick Action Sheet for this episode here.